SW!TCH Expeditions was developed to respond to a specific need for a niche group of students. There are only a few places so admission into the school is a privilege. The programme is built on the foundation of teamwork and partnership. As a fundamental value we teach all of our students to work in team. This is demonstrated by our staff and their approach to teaching and working alongside the referring schools and the parents. As a team we are most efficient and ensure our students get the best experience. We know that the students will benefit from this programme and we look forward to seeing them achieve a positive education and move on to further learning, apprenticeships and the work of work. SW!TCH Expeditions was recognised as an Independent School by the Department of Education in September 2016. SW!TCH Expeditions is run by LifeLine Projects, an East London-based charity that exists to impact people and influence systems. Through consultation with young people, youth workers and local head teachers a need was identified for an alternative to mainstream school that would take a more vocational and nurturing approach to learning. From this need the concept of SW!TCH Expeditions was founded as a 2 year programme for KS4 students. Many of us need others to help us to hone our future goals and young people are no different. Support and a second, more experienced pair of eyes helps our students to identify their potential and to grow in confidence. A carefully-matched mentor is provided for each student. They are the one who is initially able to have higher aspirations for the student than they might consider for themselves. Someone ‘championing’ them encourages our students to expand their horizons and consider new possibilities for success. Positive relationships allow students to discover their own strengths. By building relationship and getting to really know a young person, teaching staff and mentors are able to guide students as they discover a sense of identity and being comfortable in their own skin. This builds self-confidence. Once students feel secure with who they are, they can then start to develop their real outward identity, rather than borrowing from their peers or who social media tells them they should be. Once a student has vision and identity, it’s important that they have a goal to focus this new-found drive. This is not about time-filling activities, but about providing them with the opportunity to discover their own purpose in life. By developing their sense of responsibility, we have found that young people become increasingly willing and excited to take ownership of their future, including educational attainment and community-based activities. We use structure to ensure efficiency (using small group tutoring, for example) but our focus is holistic. The curriculum will embed academic studies within a project based learning approach around the expedition. In addition there will be vocational training, business skills, work placements, the chance to take part in further enrichment activities, and crucially, support from the VIP trained volunteer mentors who are an integral part of our delivery. All qualifications are accredited by City & Guilds or Edexcel. Qualifications enable students to progress on to accredited Level 3 courses and/or A levels, the required qualification for entry to a UK university. Where applicable, we will make provision for students with additional needs, e.g. EHC plans or EAL needs. We’re expecting to see our first students’ results in August of 2018. SW!TCH Expeditions was opened in September 2016. 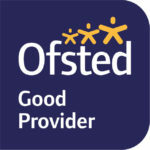 We received our first inspection from Ofsted in October 2017 and we’re delighted that we were rated GOOD! SW!TCH Expeditions is not based in school, but we do have an array of skilled teachers and youth workers on hand to help young people. Hard work is incentivised through a performance-related pay scheme involving vouchers and activities, given to students as they meet targets for their business. With small class sizes of eight or less, we can provide a focused environment where students receive the positive attention they need and can thrive. This environment is designed to prepare them for their next step, whether they move on to college, apprenticeship or the world of employment. Referrals can be made via referral from local schools or the local authority. Students will receive an interview to ensure the programme will be appropriate for their needs and then undertake a 1 term probation.